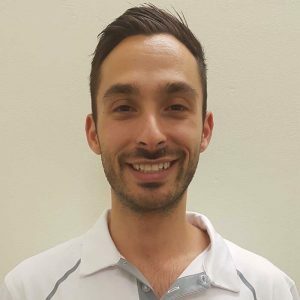 We are extremely excited to introduce the newest addition to Longevity Personal Training and Exercise Physiology, Accredited Exercise Physiologist – Daniel Elias Arciuli. Daniel has always been surrounded by health and fitness from a very young age. He was drawn to school sports such as athletics, rugby union, soccer and swimming, going on to represent NSW in sprint events. Nowadays his interests lie within the gym environment, specifically strength training, focusing on movement quality and high intensity circuit training. At university he continued to fuel his passion for sport by completing a Bachelor of Exercise and Sport Science at Australian Catholic University, where he learnt the importance of strength and conditioning to improve an individual’s athletic performance. Having close family members with chronic health conditions sparked his interests for chronic disease management and rehabilitation as he went on to complete a Master of Clinical Exercise Physiology at the Australian Catholic University. He then gained experience treating a range of clientele in settings such as hospitals, aged care facilities and neurological clinics. Since then, Daniel has trained and treated a diverse range of clientele, mainly honing his skills and expertise within the musculoskeletal field. His work in injury rehabilitation and identifying performance leakages, blockages and muscle imbalances allows his clients to reach their true human potential. As an Accredited Exercise Physiologist and Personal Trainer with over 5 years experience he believes that movement is medicine and that anyone of any age can benefit from exercise, regardless of their physical abilities or health conditions. His aim and passion is to inspire and guide his clients in the journey to a healthier and happier life.